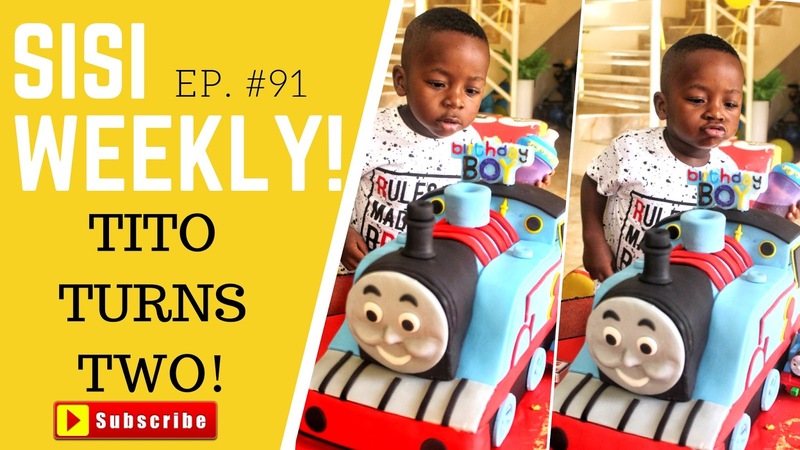 TITO TURNS TWO |LIFE IN LAGOS | SISI WEEKLY EP #91! Congrats to Titobi,he shall grow in wisdom and sound mind. Wishing u more years in good health.Mummy Tito,Titobi needs a beautiful baby sister to play around with,am sure she would be so adorable.😁 don't worry the lord will take control did time. That cake by berry dakara's husband, cakesiena, is the bomb. Too accurate for Thomas. Tto and shakara sha..lol. Happy Belated birthday to the fine young man. Wow! Tito is 2 already! How time flies!! Happy birthday Tito!